Fall classes began Monday at University of Alaska campuses, including the Alaska College of Education in Juneau. 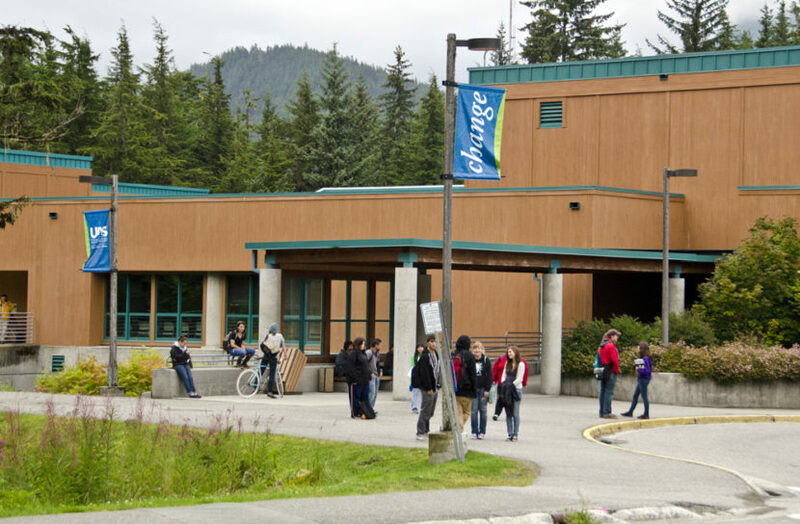 While students can still earn a teaching degree at any of the university’s three main campuses, the education college’s administration is based at the University of Alaska Southeast. Kake resident Louise Kadake found out last spring she had won the 2018 Teach for Alaska Scholarship to study at UAS. UA staff had arranged for her to join University President Jim Johnsen on a video conference call, telling her she was one of five finalists. When he told her the real news, she thought he was speaking to someone else. In a video of the call, a staff member interrupts to reassure Kadake that Johnsen is talking about her. “Oh! I didn’t know where he was looking!” she says, laughing. Kadake won a $12,000 undergraduate scholarship to study education at UAS. 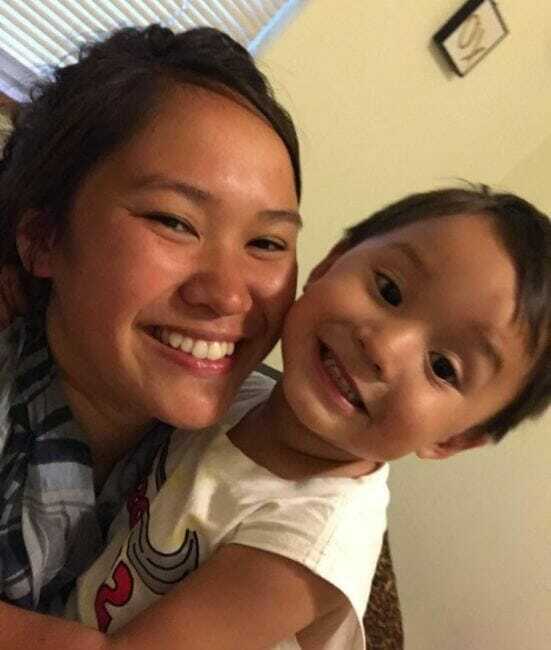 It’s letting the 21-year-old pursue the plans she put on hold after giving birth to her now 2-year-old son, Braxton. She said she’s known she wanted to be a teacher since she was a sophomore in high school. Since graduating as valedictorian in 2015, she’s worked with kids in her community and as a paraeducator in Kake City Schools last year. She said her coworkers encouraged her to apply for the scholarship. Once she gets her degree, she plans to return to Kake and teach elementary school. “It’s actually helping me a lot. I actually applied for a lot of scholarships, I was busy,” she said. She arrived in Juneau last week for orientation and to get her on-campus apartment ready for Braxton. Recruiting students like Kadake — rural Alaskans and Alaska Natives with a passion for teaching — is one of the main jobs of the new Alaska College of Education. According to the Alaska Department of Education and Early Development, there were just under 8,000 full and part-time teachers in Alaska last school year. That number has declined by about 500 teachers since 2010. The college’s new Executive Dean Steve Atwater is tasked with helping the university reach its goal to see 90 percent of Alaska’s teachers trained in-state by 2025. According to the university, two-thirds of the state’s teachers come from outside. Many of them end up in rural villages. Atwater said they often lack the training or cultural understanding to connect with students. Atwater himself came from out of state. After training at the University of Alaska Fairbanks, he spent two decades in rural Alaska schools. He said he witnessed the churn firsthand with talented teachers arriving only to realize they were unprepared for the challenges of living in remote villages. To fix that, Atwater said they’re narrowing in on three specific areas: recruitment, preparation and retention. Teacher-specific scholarships and investing in existing programs like Educators Rising, a career pathway for high school students, are a big part of that. Atwater said the college will also hire a full-time recruiter based in Juneau. Besides undergraduates and high school students, they will also look to college graduates who might already be out in the workforce and considering a career change. Improving teacher preparation will hinge on finding operational efficiencies between the three campuses. “Really what it’s going to take is the collaboration between all three units to come up with best practices and share best practices and really to think in terms of operating as a unit even though we are issuing separate degrees at the three,” Atwater said. Looking at retention strategies, the university wants to expand its role in the Alaska Statewide Mentoring Project, partnering with school districts to provide support for early-career teachers. As for campus-specific changes, Atwater said classes and faculty remain largely the same. Later on, they may look to have campus programs concentrate in specific areas of education, like special ed or early childhood. In the meantime back in Juneau, efforts are still underway to meet the City and Borough’s commitment to create a $1 million endowment for teacher education. The city made that promise to the university’s Board of Regents back when it was deciding where to base the education college. A fundraising committee spent the summer recruiting local donors. Committee chair Laraine Derr said they’re still a few thousand dollars away from reaching their goal. “A bird in the hand is worth, what is it, three in the bush? But I got a couple more donors yesterday so I’m hoping by the end of the week we will be there,” Derr said. The campus has said the CBJ Teacher Excellence Fund will go toward additional scholarships and support programs for students in Southeast and the rest of the state.